Cruise industry trade group CLIA released the latest global cruise passenger statistics last week, showing that 28.5 million people took a cruse last year, up by 7% over 2017. North American travelers continue to embrace cruising, said the report, with an annual passenger increase of 9% (14.2 million passengers) in 2018. Cruising represents only 2% of the overall global travel industry, but growth is on pace with international tourism worldwide. Mediterranean Moves – Cruises in the Mediterranean are moving up in popularity, growing 8% from 2017 to 2018 and totaling more than 4 million cruise passengers. Shorter Cruises – Passengers are preferring shorter cruise durations. Seven-day cruise itineraries are up 9% while three-day and under cruises are up 10% in 2018. Caribbean Rebounds – Cruisers love the Caribbean and the latest insight reveal travel to the islands is still in full swing: 11.3 million cruise passengers traveled to the Caribbean in 2018, an annual increase of 6%. Destination Alaska – As adventure travel continues to thrive, Alaska has experienced double-digit growth with a year-over-year 17% increase in passengers in 2017 and another 13% increase in 2018 accounting for more than one million cruisers. 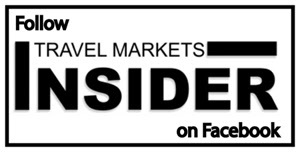 Additional Destinations – Other growing North American destinations include the Hawaii & North Atlantic Coast region, Mexico, California, and Pacific which increased 4% in 2018, totaling 1.3 million cruise passengers. Moderate Growth in Asia – When compared to the rapid increases of the past, 2018 saw moderate cruise passenger growth throughout Asia and China with a 5% increase in cruise passengers from the region totaling a still impressive 4.2 million.